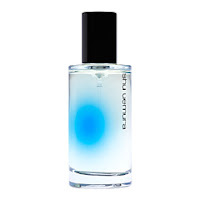 Shu Uemura will be releasing its Summer '08 collection on 1 June in Japan. 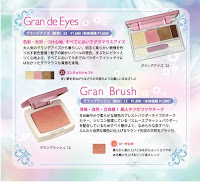 It includes three eyeshadow palettes and three eau de toilettes, all of which are limited edition and priced at 6825yen. 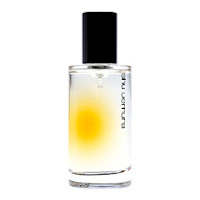 Fleur de Terre The EDT has top notes of fresh lemon and orange; middle notes of rose, jasmine, ylang ylang and freesia; bottom notes of sage and woody accord. Fleur de Sur (? not sure of English name). The EDT has top notes of lemon, lavender, annis, blackcurrant; middle notes of orange blossom and jasmine; and bottom notes of coriander and basil. 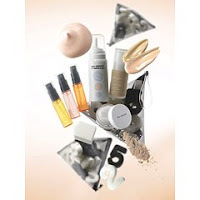 Boutique Birthday 25: Foundation Kit 2008 (8715yen) which includes Fluid Foundation, UV Underbase, Face Powder Sheer Colorless 3.2g, sponge, Depsea Water in Bergamot, Chamomile and Rose (13mlx3). Sneak peek of the Jill Stuart Summer '08 collection from 2Channel. 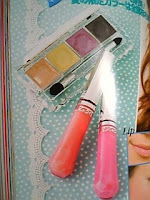 The photo is taken from CanCam magazine and features a limited edition Seductive Eyes palette and two Lip Lustres. The colour combination in the palette doesn't look that attractive, definitely not as pretty as the Brilliance Eyes #5 that was released in Summer '07. 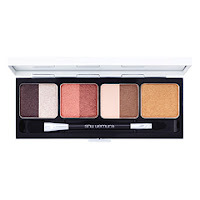 And chances are if you already own many Jill Stuart palettes, you will be able to duplicate the shades in the summer quad very easily. Urban Decay's summer collection is also now available to view on Sephora, although some of the products are still "temporarily unavailable". 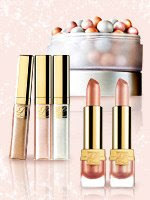 Like Tarte, Urban Decay always comes up with fun innovative products that stand apart from the big mass market brands. 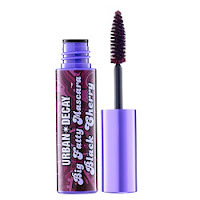 Big Fatty Colored Mascara (US$17, 0.26 oz) is basically UD's Big Fatty Mascara but now in 4 vibrant shades: Black Cherry, Electric Blue, Indigo and Purple Haze. 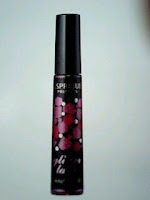 Made in a smaller version of the beloved Big Fatty Mascara tube. 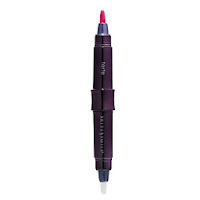 , Color Mascaras still feature a big, fuzzy brush for insane volume. And, each tube is wrapped in a color-coordinated Pucci-inspired print! The creamy formula, infused with hemp oil, vitamin E, shea butter, and jojoba oil thickens and lengthens lashes. Try it once and you'll be addicted. De-Slick Mattifying Powder (US$28, 0.40 oz) is a shine-stopping pressed powder that blots oil and keeps shine at bay. 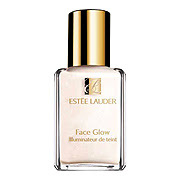 The lavender shade applies invisibly and works on every skintone. Because the formula contains super lightweight, oil-absorbing rice powder you won't feel the powder, but you'll see the shine-free results. 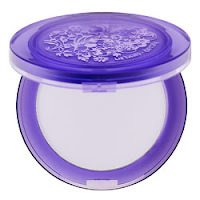 This powder comes in a gorgeous, transparent purple compact which seems to glow from within and features Urban Decay embellishments of skulls, flourishes, and flowers. 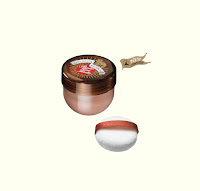 Santa Tanita Body Bronzer (US$28,3.4 oz) is a bronzing mousse that gradually darkens with time. The light, airy mousse instantly bronzes face and body while a gradual self tanner goes to work, building a lasting tan. The moisturizing formula goes on without streaking and won't rub off onto clothes. 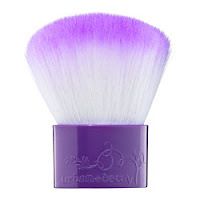 And finally, a gorgeous kabuki brush from UD! 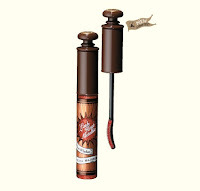 Big Buddha Brush (US$36) features a big, wide brush head (measuring over 3" x 2") and a comfortable oblong handle. 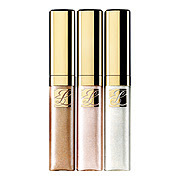 Bronze arms and legs with one sweep, dust on loose powder, or highlight shoulders and décolleté. It is made with Taklon, a super soft, man-made fiber that comes to a fine point at the tip, just like a natural hair. Each high-tech fiber is crimped and manipulated perfectly for what the brush was built to do. Big Buddha's two-toned hair is purple at the tip, creating a gorgeous ombre effect. 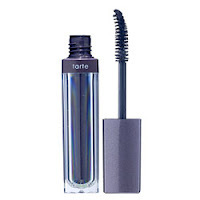 Tarte's summer collection is up on Sephora! 4 Day Stay Lash Stain (US$18) is an eyelash stain that keeps lashes looking naturally full for four days without reapplying. 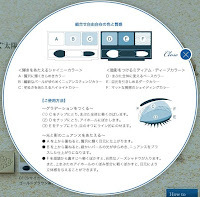 It "envelops lashes in long-lasting pigment while keeping them soft and flexible". It's formulated with PolyFlex™ technology: Cross-polymers are blended with mineral pigments and then treated with ProVitamin B5 to create a binding tint. So whether you're hitting the pool or hitting the shower this gentle lash stain will keep lashes looking fresh, and won't fade or flake. It is also synthetic dye-, mineral oil-, petro-chemical-, phthalate-, sulfate-, and fragrance-free. 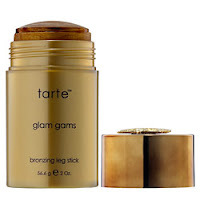 Glam Gams Leg Bronzing Stick (US$30, 2 oz) gives legs a gorgeous beach-worthy faux glow. It's infused with Tarte's t5 super fruit complex™, a proprietary blend of the five most active superfruits: goji, acai, maracuja, acerola, and pomegranate and has a delightful natural fragrance. The first blend of its kind, the t5 super fruit complex™ is loaded with naturally occurring, antioxidant-rich nutrients and vitamins that have been known to deliver refining, antiaging, and skin-restorative benefits with each application. It's preservative-, paraben-, phthalate-, sulfate-, propylene glycol-, and mineral oil-free. Enbrightenment BriteSmile® Whitener & Tarte Lipgloss (US$26, 2 x 0.05 oz) is a double-ended, tooth-whitening wand and lip gloss product. One side contains Tarte's t5 super fruit™-infused lipgloss and the other contains BriteSmile®'s proprietary teeth-whitening formula for easy on the go application. The result will give you something to grin about—because a healthy smile is a woman's best accessory. It is available in 2 shades, Pearly Pink and Radiant Red. Overall, I'm disappointed that there isn't more new color makeup such as eyeshadow palettes but these products are still definitely worth checking out. 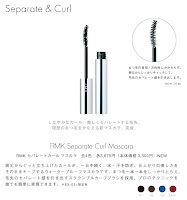 Promo visual for RMK's new waterproof Separate Curl Mascara (3675yen) which is available in 4 shades. 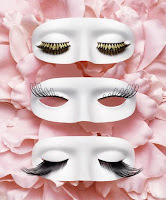 Victor & Rolf has teamed up with Shu Uemura to launch the Couture Edition false eyelashes in three styles. Each set retails for a hefty 10,500yen and they are limited edition. The release date is 19 June for Japan. 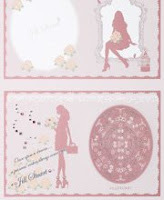 Pics of Esprique Precious' Summer '08 collection from 2Channel. The collection will be launched in 16 May in Japan. 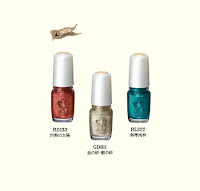 Coffret D'Or will launch its summer collection on 16 June in Japan. Centred around the theme of "Beauty, Power", the collection features a new eyeshadow quad series, Trance Deep Eyes which features a mix of shimmery shades. 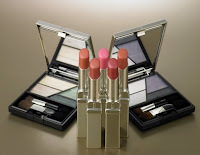 The quads in the photo don't look that exciting but Coffret D'Or palettes usually look more attractive in real life. 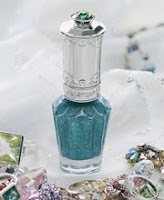 (C) Jewel Color: with "stardust pearl"
Paul & Joe's summer collection, Flirt, featuring a new range of mascaras and mascara primers is now up on the website. Check it out! Majolica Majorca "Miss Treasure Hunter"
Majolica Majorca's summer collection, Miss Treasure Hunter, can now be viewed on their website. The collection is tiny, with just Lash Heat Metallic (reddish bronze mascara), Powder Heat Metallic (a bronze shimmer face powder) and three nail polishes. All the items are limited edition and already available in drugstores in Japan. But given a choice between this collection and Lavshuca's gorgeous palettes, I would definitely pick Lavshuca's palettes! The Lavshuca summer collection website is up! This has to be one of the most exciting collections that Lavshuca has released to date. The new limited edition Summer Gradually Compact comes in 2 variations, #1 Shiny Sand Beach (gold x brown) and #2 Windy Aqua Beach (silver x blue), each featuring six metallic shades that are perfect for creating either a warm or cool beach-inspired look. The slim metal palettes look very similar to the 6-shade palettes that Stila has released in the past. 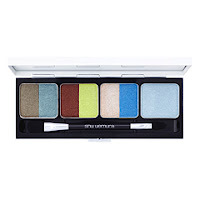 The left side of the palette features three "shiny colours" for creating a sparkly effect, namely (from extreme left) an intense shimmer shade, a "nuance change color" with delicate pearl shimmer and a "bright highlight colour". 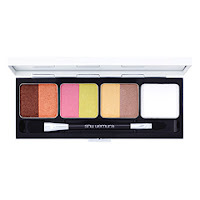 The right side of the palette features three "medium deep colours", namely (from left to right) a base colour to be used all over the eyelid, a dark color for lining and a matte "shading color". 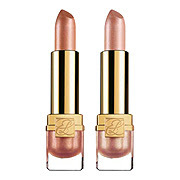 Lavshuca will also be introducing two new shades of its Rouge Essence Bar lipstick in PK4 and BE3. The collection will be launched on 1 May in Japan. 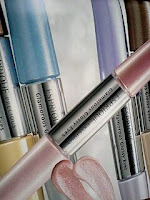 Esprique Precious will be launching a new series of waterproof liquid eye color duos on 16 May in Japan. 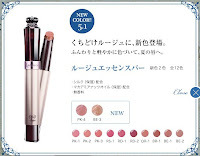 Glamorous Glossy Eyes (2625yen) comes in 5 shades and contains a "Wet Shiny Oil" for a super glossy effect. Esprique Precious also has a new limited edition foundation case out now. The Aube website has been updated with the new summer collection. Another promo pic of the new Maquillage mascara and nail collection. 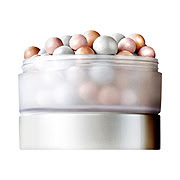 Estee Lauder will be launching an Asia-exclusive collection, Pearls of Light, on 25 April in Japan. Looks like Meteorites knock-offs are the rage this year! The Love Clover website has been updated with the new Marshmallow Fit Face & Body Milk UV (1575yen, 60g). It's a cranberry-scented moisturising fluid with SPF20 and PA++, made with extracts of kiwi, cranberry, starfruit, Vitamin E and hyaluronic acid. 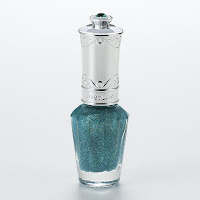 More pics of the Jill Stuart nail polish collection that will be launched on 25 April in Japan. Click on the individual pics to view them in high resolution!